I have a 98 Arctic Cat 300 4x4 that begins stalling after about 15 minutes of plowing. Up until that point it runs perfectly fine but will stall when I stop to raise or lower the plow. It usually starts right back up and runs fine as I stay on the throttle. Initially I thought it may be overheating so I installed a fan to draw cool air through the oil cooler but this did not solve the problem. I have also cleaned the carb, changed the plug, adjusted the valves and made sure the oil cooler wasn’t plugged. I am at a total loss. Has anyone else experienced a similar issue? I wonder if your battery is getting weak or the winch is drawing it down too far. Possibly you could fit a bigger battery. I was able to put a full size automotive Yellow Top on my 700 Diesel, helps a lot, still at night with all the lights on including LED's in about an hour, the lights will start to flicker from low voltage. I have a huge 5000 lb winch (way overkill). Even with a decent sized alternator, it can't keep up. I suspect the stator on your 300, just can't keep up. You could instal a volt meter or buy a smaller winch, maybe a 1500 will draw less juice. A bigger battery, fully charged should give you a longer running time. Lastly, you can possibly, change how you plow to use winch less? Last edited by Wallamatogus; 11-21-2018 at 07:39 AM. Thank you for the response! I could be wrong but I honestly don't think it is related to the battery or the winch. It has a brand new AGM battery and I checked the battery voltage after it happened and it was still putting out 11.5-12 volts. Once it warms up I will make a push, come to a stop and it will stall even before I raise the plow. If I allow the ATV to cool down for a half hour or so it will start up and idle great until it warms back up again and the problem reoccurs. It definitely seems to be directly related to warming up. Last edited by makemusic116; 11-21-2018 at 08:10 AM. 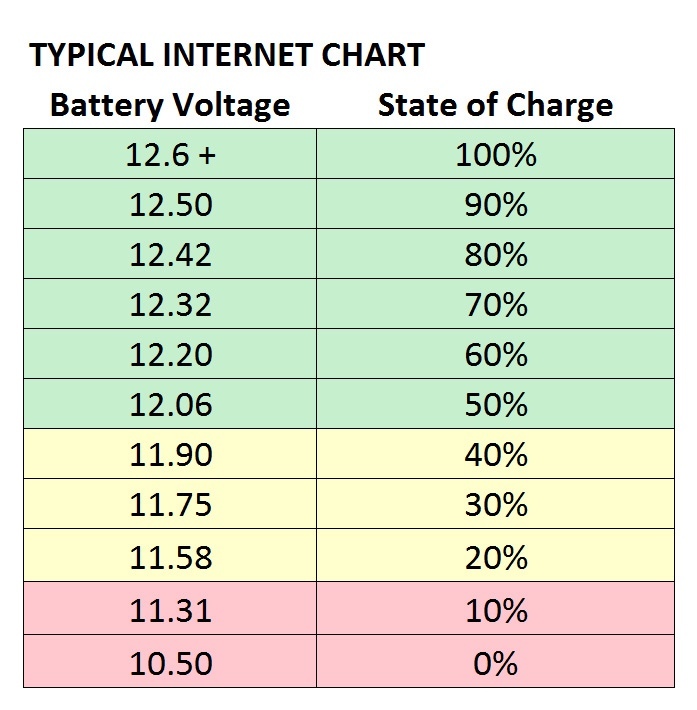 If your battery is at a11.5 v it is the battery or charging system. Should be putting out 13.7-14.5 when running. I'm sorry I should have been more clear the battery itself had 11.5-12 volts after being removed from my wheeler. I wanted to put it on the trickle charger and swap my old battery back in to see if anything changed. The voltage regulator was checked before I removed the new battery and then once the old battery was put back in and is charging as it should. Swapping the batteries did not change or resolve the issue. Last edited by makemusic116; 11-21-2018 at 09:15 AM. Next question, does it only stall when plowing? I'll bet when the winch is operating, voltage drops a lot. Guessing the stator on a 98 AC 300 has very low charging ability. A tiny battery that has been drawn down to 11.5-12 volts, when it gets hit with a huge draw from the winch, suddenly has all it can do to provide a spark for the motor. Honestly, it sounds exactly like my 700 Diesel. After an hour or 2 (I have a huge driveway and parking lot) voltage will drop, even with a 45 amp engine mounted alternator, it has actually stalled, not from spark plug failing, obviously, but from fuel pump failing to pump diesel. I let it idle and go have a cup of coffee. This winter, I've tried to plow differently and not have had that issue. Instead of lifting the plow all the way up, when backing up, I only lift it a bit or even let it drag. I plowed for several hours yesterday, never bothered. Honestly, if it is showing 11.5-12 volts after only plowing a few minutes, I think it's not related to carburetor or fuel system. The only other thing that I've experienced like that, was crud in the fuel tank of a 2001 AC 500, but that was random stalling. If you remove gas line from carburetor and let it drain into a clear jar, and you get a strong flow of clean gas, it's not that. A misadjusted carburetor float would show up when you weren't plowing... BTW, I was thinking about your issue yesterday while plowing. Last edited by Wallamatogus; 11-22-2018 at 08:56 AM. Haha I’m glad you’re thinking of me. It stalls whether I’m plowing or not which is why I’m not convinced it’s battery/charging related. I used it this weekend to retrieve a deer and had the very same issue...as soon as it warmed up it wouldn’t idle unless I stayed on the gas. The strange part is that once it starts back up it runs fine it just won’t idle. I am definitely wondering about the fuel tank not venting properly because a lot of people have mentioned that as a possible issue. I also haven’t checked the float for proper adjustment so I’ll try that too. There is definitely a direct correlation to it reaching a certain temperature and not wanting to idle. I’m sure it’s something simple and the old 98 300 isn’t super high tech so there are only so many things it can be. Is it a manual choke or auto? Loosen the gas cap to rule out venting issues. makemusic116 and Wallamatogus like this. It’s a manual choke. Thanks I’ll definitely try that next time! I had the same problem with our Prowler. It would start stalling when the plow winch was engaged and kill a battery in 15 minutes. Even a car battery! Turned out the warn winch was shot. It still worked but drew enormous amps when in use. Replaced the winch and no more problems.